We had a call from a local restaurant yesterday. 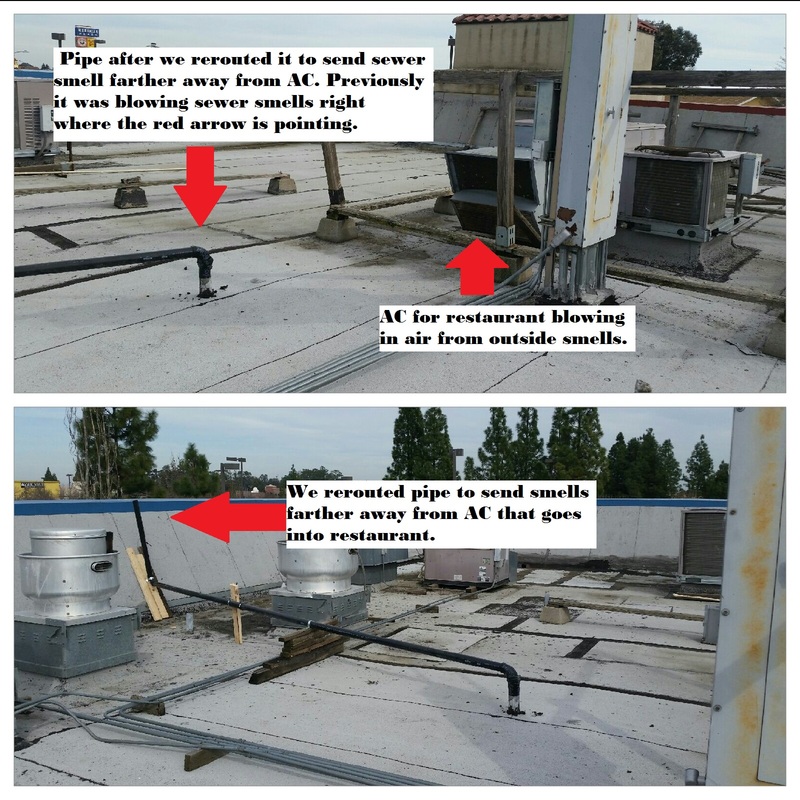 They had another plumbing company come out twice to figure out why they had sewer smells in the restaurant. After paying a lot of money to them, they still couldn’t figure it out. We went and realized the pipe releasing the smells was directly next to the AC. So we rerouted the pipe and extended it farther away. Simple fix done in an hour. It’s worth it to call an experienced plumber.